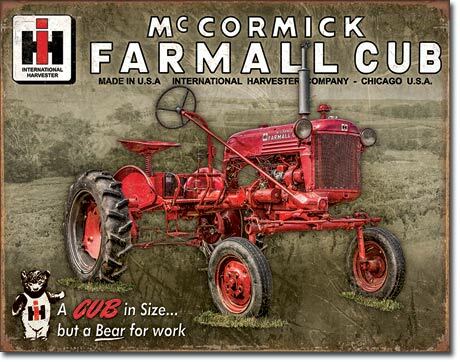 Measures: IH: McCormick Farmall Cub vintage look tin sign. "A CUB in size but a Bear for work. Measures 16" W x 12.5" H Signs have small predrilled holes on each corner.